In making money online, TRAFFIC is essential. It is the same for other type of business too. Imagine how much people make from the traffic on Lagos roads. With increase in the traffic you get to your blog comes the opportunity to make more money blogging. Conversion of the traffic will then become the next thing to do. Before then, I would be showing you what you need to do to boost your blog’s traffic. You can learn this and get started today..
- Relate effectively with the visitors you have now. - Build Loyalty by creating quality contents that solves people’s problem. - Engage with your readers. Ask and answer their questions. Reply their comments etc. - Offer subscription medium on your blog. - Write for Blogs that has a higher page rank than yours. Submit your blogs to blogs sites. - Create effective landing pages on your blog that gives new visitors an opportunity to come back and read your blog. -Links: Link your blog externally and internally. By external, i mean link word or words in your posts to sites with great content. By internal, i mean link word or words in your posts to other posts on your blog. 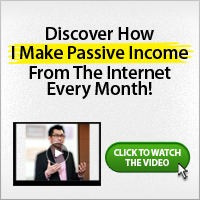 - Make Guest-Posting a lifestyle. To learn more about Traffic Generation, please read through our previous posts or through the related posts listed further below. You should also subscribe with your email, RSS, follow me on Twitter, become my fan on Facebook so as to get more posts about delivered to you as soon as they are made available here.